– It is not contagious. – Poor hygiene has nothing to do with it. – One third of patients with HS report family history of this disease. – Hormones have something to do with it. Children under the age of 11 years rarely develop this condition. Even in cases it happens, it’s associated with premature puberty. Medical treatment of this condition may be conservative (topical treatment or oral therapy) or surgical (excision, laser therapy etc). In addition, diet plays a major role in controlling HS. Indeed, most HS patients observe clear connections between certain foods they eat and onset of flare-ups. Conversely, it is possible for many patients to achieve remission purely through the dietary choices they make. So what are the foods that one must avoid to prevent HS flare-ups? Studies have shown that sugars and saturated fat can fan the flames of inflammation in the body, which in turn is associated with flare-ups. The American Journal of Clinical Nutrition warns about the danger of using processed sugars in the diet. Processed sugars can trigger the release of inflammatory messengers called cytokines. In turn, these stimulate inflammation throughout the body, which works on the principles of positive feedback. Positive feedback is a concept that underlines every disease process and is the way that conditions and diseases progress. 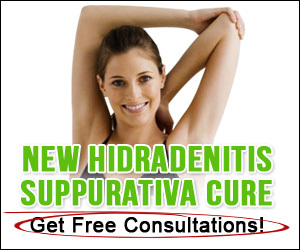 As mentioned above, Hidradenitis Suppurativa is an inflammatory disease. In each of the HS bumps on the skin, a tiny war between the immune system and disease happens. Processed sugars speed up the mechanisms of disease, helping it overcome the immune system and leading to a flare-up. Moreover, inflammation damages the already-weak tissue, making it more vulnerable to infective agents, so at some point, HS gets complicated with bacterial infections. That’s why it is important to avoid sugars in the diet. Sugar goes by many names, and if there is something ending in “-ose” on the food label, you should avoid that food (fructose, sucrose, glucose…). Apart from sugar, the scientific community has confirmed that high intakes of saturated fat is a major risk factor in adipose tissue inflammation (fat tissue). The subcutaneous tissue is made of fat (it has some other components, but fat is a major one), and HS takes place right there- those bumps are basically laying on top of the fat tissue. So, similar to processed sugars, saturated fats aggravate inflammation, that way making the perfect environment for further development of HS disease and bacterial infection. Animal fats like tallow, lard, duck fat and goose fat etc. Try to avoid/limit these as much as possible. 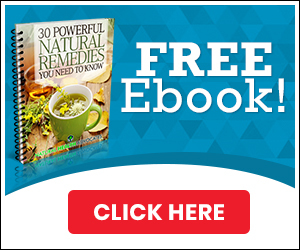 Combat inflammation – with turmeric! Food rich in anti inflammatory agents can help and reduce the intensity of the HS by combating the inflammation. Turmeric is a plant of the ginger family. Although the name of it may sound strange and unknown, almost every person on the planet had it on the plate sometimes. It is a main spice in curry. The distinct color of curry comes from Turmeric. For thousands of years it has been used in Siddha medicine (system of traditional medicine originated in ancient Tamilakam in South India). The healing component of Turmeric is known as curcumin. In order to absorb curcumin from the intestines better, it is recommended to use black pepper along with it. What are the health benefits of Turmeric that can help patients with Hidradenitis Suppurativa? The Anti-inflammatory effect of it is the main mechanism by which it helps in treating HS. Chronic inflammation is the main pathologic process in HS. Inflammation is not bad for our organism, it is a mechanism of defense, but it’s a good thing only if it resolves fast (acute inflammation). In the cases of the chronic forms, it triggers inefficient repairing processes which lead to scarring and other problems. Pain killer – Skin lumps in HS are painful. Keeping in mind their typical location (areas where skin rubs together), it is clear that patients with HS have a lot of pain, especially when the condition worsens or gets complicated by bacterial infection. Studies have shown that curcumin’s can activate the opiod system (it is the most powerful pain killing system of our body; as a comparison, patients that suffer severe pain are treated with opioid analgesics whose mechanism of action includes activation of opioid system). Suppressing immune response – HS requires a mixture of drugs, among them corticosteroid drugs. Doctors use these drugs to suppress immune response. Turmeric has an ability to do so as well. The only difference is- it has no side effects that are typical for steroid therapy.